Andrew Burges, Chris Mullaney, Celia Carroll, Anna Field, Chris Su, Mitchell Bonus. 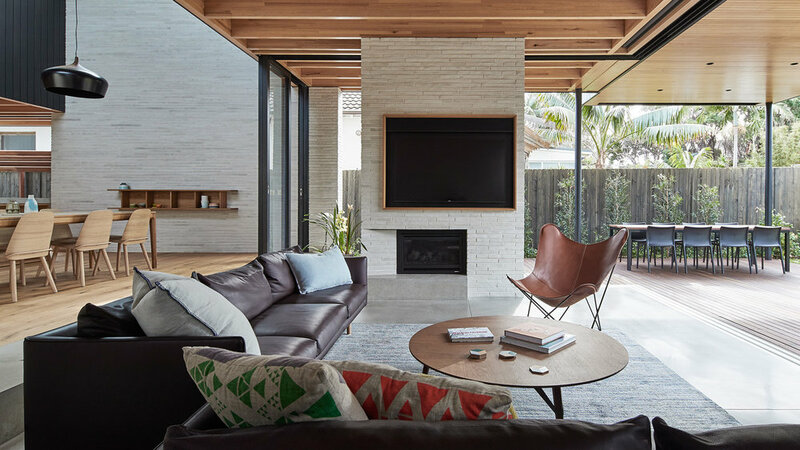 Our brief for this new two storey dwelling was for a family home of 5 bedrooms, a study and associated living rooms on a wide block in Bondi. The concept proposed a brick base with three ‘bridges’ spanning across the brickwork, creating an internal rhythm of bedroom volumes and double high skylight voids that define the interior. The design continues our investigation of how to create privacy from neighbouring dwellings while maintaining connections to landscape and the sky. 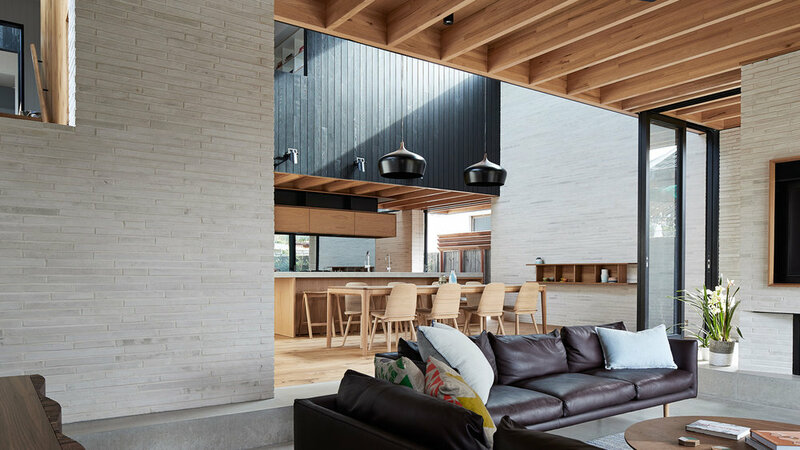 For this, Brick House utilised large glazed windows above the brick walls detailed to have no visible evidence of window framing, creating the illusion that all public spaces of the interior are open to the external elements beyond. 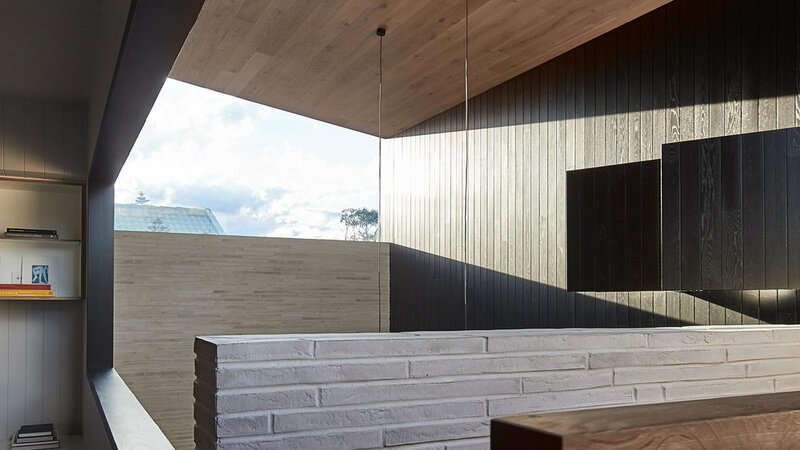 The floor introduces a subtle topography into the flat site with level changes at the living and dining area to create thresholds within the open plan arrangement.